By-Laws of the UIAC of Houston approved on June 4, 2012. Provide scholarships to local area high school students who choose to attend the University of Illinois. The Officers and Directors of the CLUB shall constitute the CLUB’s “Board of Directors” (BOARD). The BOARD transacts the business of the CLUB. No Officer or Director shall receive compensation for performing the duties of the office. Reasonable expenses may be reimbursed as specified by BOARD policies. Via communications prior to the Annual Meeting, the President shall present the proposed slate of nominees for the Officer and Director positions. This slate of nominees shall be voted upon at the Annual Meeting. The President of the CLUB, with the advice of the BOARD, may add Officers and Directors at any time during the year to serve until the next Annual Meeting. In the event a vacancy occurs in any directorship or office, the President may nominate, with the BOARD’s approval, a member of the CLUB to serve until the next Annual Meeting. In case of vacancy in the office of President, the BOARD shall designate a successor. The officers of the CLUB comprise President, Treasurer, Membership Chair, Communications Chair, Secretary, Scholarship Chair and Events Chair. If agreed-upon by the BOARD some of the above officer positions may be combined (e.g. : President & Membership , and Communications & Scholarship.) Other officers may be added as determined by the President with the advice of the BOARD. The President of the CLUB presides at all meetings of the BOARD and is the Chief Administrative Officer with power to appoint committees necessary for the administration of the office. The President determines the time and location of all meetings and must provide the BOARD with appropriate notice prior to each meeting. The President shall also meet with the Treasurer at least once a year to review the finances of the CLUB. The President is an ex-officio member of all committees. The President must be a member in good standing of the University of Illinois Alumni Association. The Treasurer shall have custody of all books, accounts and financial records. The Treasurer collects funds owed to the CLUB and deposits these funds as designated by the BOARD. The Treasurer disburses the funds of the CLUB according to established BOARD policies. The Treasurer files reports as required by law and provides reports on the finances of the CLUB for review by the BOARD. The Membership Chair is responsible to: maintain the membership database of the CLUB, and make it accessible to Officers; summarize the membership count for the benefit of the CLUB and post the summary on the CLUB’s Website; and to contact CLUB members whose contact information is invalid. The Membership Chair shall recommend CLUB policies and programs to the BOARD, which seek to increase the membership of the CLUB. The Communications Chair maintains the Website of the CLUB and shall issue written and/or email communications to the CLUB. The Secretary of the CLUB records and distributes the minutes of all BOARD meetings and shall keep custody of same during the term of office. The Secretary sends the minutes of each meeting to the President prior to the next meeting of the BOARD. The Scholarship Chair shall lead a selection committee comprised of BOARD members and club volunteers. The selection committee's membership must include a numeric majority of the BOARD. 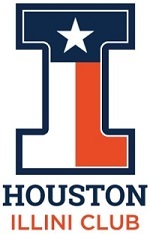 The Scholarship Chair and selection committee shall select and award scholarships to Houston‑area students who have been accepted at and commit to attend the University of Illinois who have demonstrated superior academic and leadership accomplishments. The Houston Illini CLUB's scholarships shall be administered and coordinated with the University of Illinois Alumni Association. The Events Chair, with support from the CLUB (especially the President and the Communications Chair and Club Volunteers who serve as Event Organizers) will plan and coordinate club activities. In addition to the Officers, there shall be up to 15 Directors of the CLUB. Only members of the CLUB are eligible to be elected as an Officer or Director. Each Officer and Director serves for a term beginning immediately following the CLUB’s annual meeting until the next Annual Meeting or until their resignation. An Annual Meeting of CLUB officers and volunteers may be held on a date set by the President. Notice of the Annual Meeting will be sent to all current officers, directors, and active volunteers of the CLUB. At this meeting (held physically, or via an e-mail communication or teleconference if preferred), the President will present the proposed slate of candidates to the CLUB’s BOARD for final approval. If approved, the candidates will take office immediately following the Annual Meeting. A simple majority of the active members of the BOARD constitute a quorum. An affirmative vote of a majority of the BOARD present at a duly convened BOARD meeting is the minimum vote necessary for the adoption of any resolution except where otherwise noted herein. An active BOARD member shall be defined as any member that has not resigned nor been dismissed from the BOARD. Any person or family who pays the annual dues as set by the BOARD is a member of the CLUB. Any person who is granted honorary membership by the BOARD or the President of the CLUB is a member of the CLUB. The fiscal year begins on July 1 and ends on June 30 of the following year. All funds received by the CLUB are devoted to the purposes of the CLUB, as determined by the BOARD in its sole discretion. The decision to dissolve the CLUB must be approved by two thirds of active BOARD members. Should the CLUB dissolve; all assets will be distributed to a University of Illinois alumni organization whose purpose is substantially similar to the purpose of this CLUB, to the University of Illinois Foundation, or for scholarships to University of Illinois students. The BOARD may incorporate the CLUB as a not-for-profit corporation under the laws of the State of Texas. Until such time as the BOARD determines that the CLUB should be incorporated, the CLUB shall remain an unincorporated association. Robert's Rules of Order, latest revised edition, shall determine procedure. Bylaws of the CLUB may be amended by two-thirds of the active members of the BOARD. By-Laws were approved on June 4, 2012.